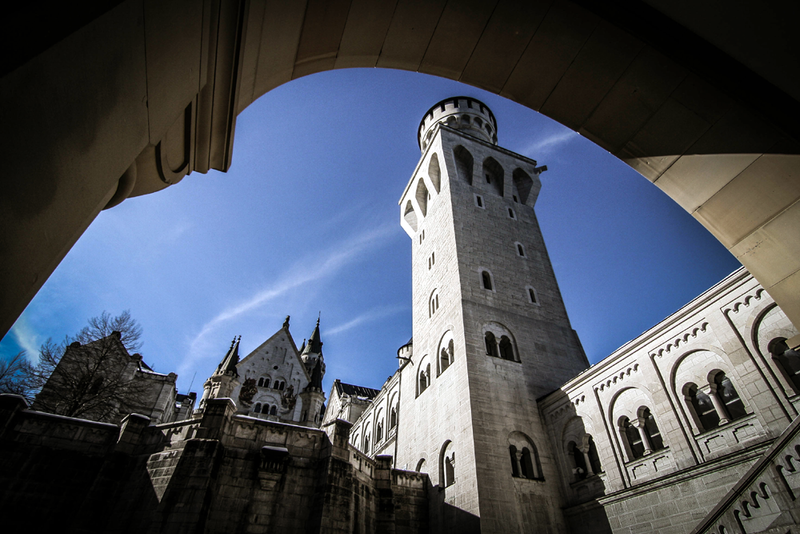 I’ve been lucky to visit Schloss Neuschwanstein (Neuschwanstein Castle) two times during different seasons. The first time was a few months ago when the castle was covered in ice and snow. And again, just last week with my mom on a beautiful spring day. Neuschwanstein is located in Bavaria, Germany and is one of the most recognized castles in the world. It was built by King Ludwig II of Bavaria, however, he died before it was fully completed. 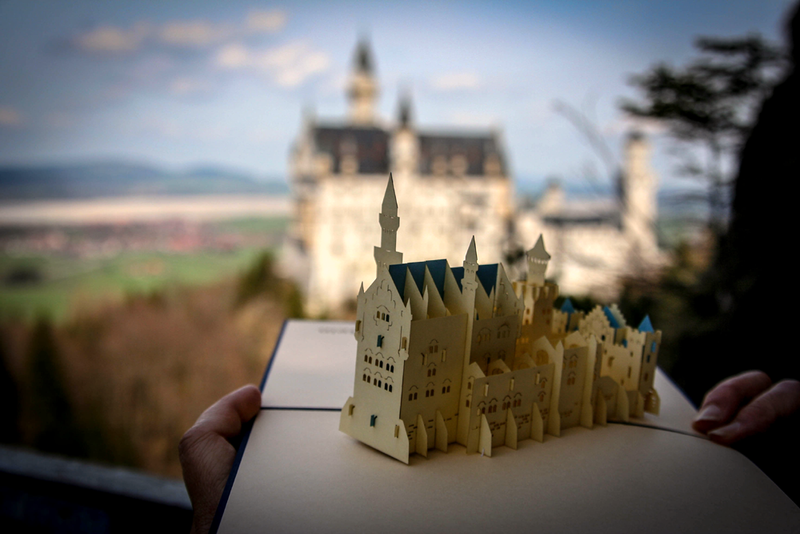 Cinderella and Sleeping Beauty’s Castle at the Disney theme parks were inspired by Neuschwanstein. The area around the castle truly looks like a fairytale land! What a privilege to visit twice! Your images are gorgeous! What an amazing place, do you have photos of it covered in snow and ice? Beautiful photos! Thank you for sharing those. I have been visiting the castle when I was a child, and before I knew it served as inspiration for disney. I remember that I was impressed, especially by the suits of armor. So magical! Thank you for sharing. Yes, a very famous castle, and your photos are beautiful. The last one is my favourite. The castle is impressive as you say. Your photos are amazing! Such an amazing place! Thanks for sharing! 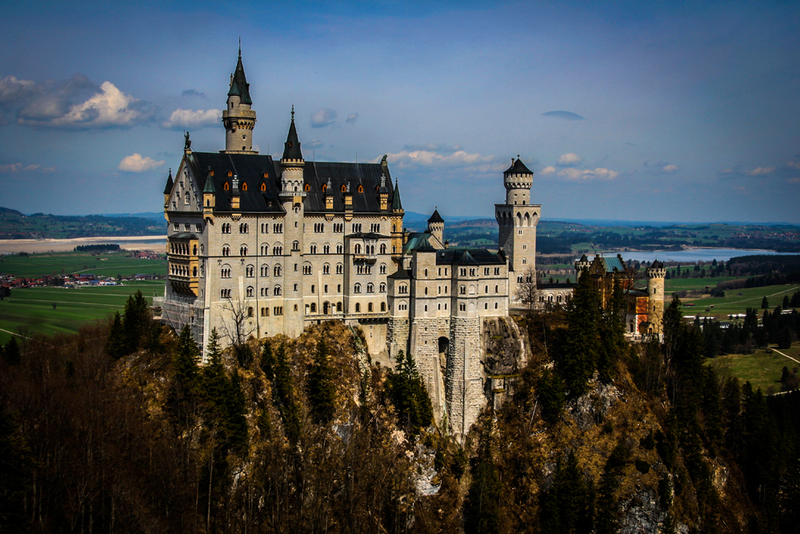 What a beautiful castle…takes me back to childhood fairy tales!! beautiful place. last picture looks straight out of Harry potter movie. ditto.. Stunning photos. Especially that last one with the lake in the background. I have to visit. Gorgeous. Long Live Ludwig and Disney! Great photos. Thanks for bringing the castle to me.